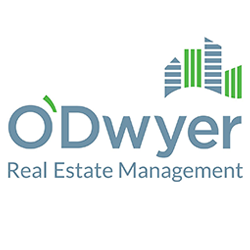 O’Dwyer Real Estate management, set up by Siobhan O’Dwyer back in 1988. Since then, they have grown into one of the country’s leading property management consultancies. Their team in Sandyford consists of over 85 Chartered Surveyors, Property and Financial professionals, and we provide the in house printing services for the lot. ODREM got their first machine from us back in late 2004, and have not looked back since. As the company has grown dramatically, as has their print fleet, to the point where they are now using 3 of our large Multi-Function Printers/MFP’s (this is photocopier jargon for machines which print, copy, scan and fax all at once. With 6 BILLION EUROS worth of a property portfolio under management (encompassing 15,000+ units), you can understand how the paper consumption in this real estate powerhouse can be quite intense. Our guaranteed 2 hour call out time for the area, means that although there is a robust fleet at work here, none of the units is ever down long enough to have a detrimental effect.